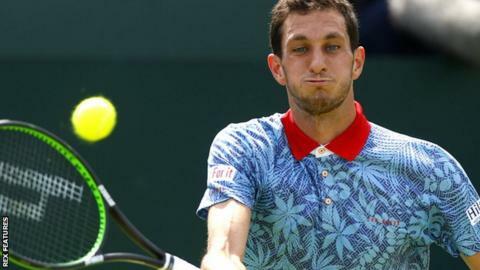 Great Britain Davis Cup captain Leon Smith says he has "a lot to think about" over whether to pick James Ward or Kyle Edmund as the second singles player for next week's final. British number one Andy Murray will lead the team against Belgium in Ghent. Smith says he should have made up his mind "by the weekend" over Edmund, 20, or Ward, 28. "I chew the fat with certain people at length over it," Smith told BBC Radio 5 live. Edmund, ranked 99 in the world, won the Buenos Aires Challenger clay-court tournament last Sunday. Ward broke into the world's top 100 in July but has since experienced a slump in form and is now ranked 155. Smith said he had no concerns over Murray's heavy defeat by Rafael Nadal at the ATP World Tour Finals in London on Wednesday. "We have a true champion and a winner in Andy who'll give everything irrespective of any fatigue that is there," he added. The Davis Cup final takes place on clay from 27-29 November and is live across the BBC.